The report builds upon the Centers for Disease Control and Prevention's (CDC) 2014 "State Prevention Progress Report," which provided state-level data on indicators related to national HIV prevention goals. The release of the report coincides with the release by the White House Office of National AIDS Policy of the National HIV/AIDS Strategy Update, which sets priorities to guide the nation's HIV response through 2020. 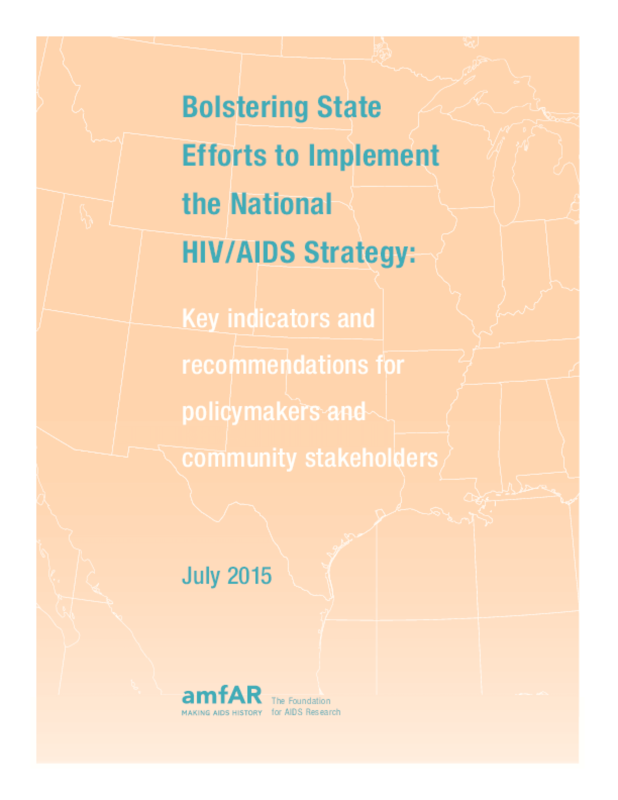 While significant progress has been made since the release of the National HIV/AIDS Strategy in 2010, the report indicates that states can, and should, do more to align their efforts with the national goals of 1) reducing new infections; 2) increasing access to care and improving health outcomes for people with HIV; and 3) reducing HIV-related health disparities. Copyright 2015 amfAR, The Foundation for AIDS Research.